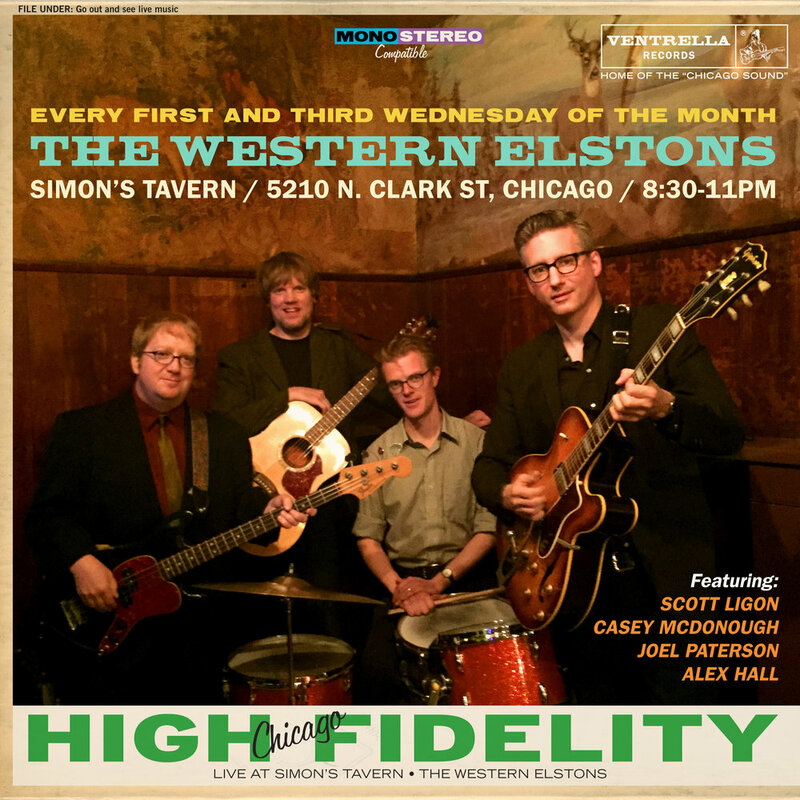 The Western Elstons have been playing the first and third Wednesday of the month at the historic Simon's Tavern in the Andersonville neighborhood of Chicago for over ten years now. We are one of Chicago's best-kept secrets and we kind of like it that way. We set up on the floor of this classic Chicago tavern (Simon's opened in 1931 and hasn't changed that much), and play country, honky tonk, and rock & roll with minimal amplification to an appreciative crowd of regulars and local music fans. The Western Elstons feature the tight two-part harmony of Scott Ligon and Casey McDonough (who play and sing together in countless projects including NRBQ and The Flat Five), myself of guitar, and the always tasteful drumming of Alex Hall (another musician with too many credits to name—he is also in The Flat Five, The Modern Sounds, The Fat Babies, and many more). This is definitely one of my favorite projects that I'm a part of; we hope you can join us at Simon's sometime soon!